Beyerdynamic is a well known German headphone manufacturer with a solid reputation for great sound. Their Tesla driver is award winning. Now they have a miniaturized version of the Tesla driver incorporated into the Xelento Remote. They are also marketed as an audible piece of jewelry. And with the high-gloss metal housing, they are absolutely gorgeous! And with an MSRP of $999, this great looking jewelry will sound excellent as well. · Hand crafted "Made in Germany"
The Beyerdynamic Xelento Remote came in a excellent looking color printed box, with photos of the Xelento Remote and it’s specs and features. Opening the box revealed a very well secured product. Materials used in the construction was mostly metal, with some plastic. The quality of materials used, as well as the fit and finish was also excellent. The Beyerdynamic Xelento Remote is a premium top of the line product that they have a lot of pride in, and it shows! Also included is the owner’s manual, 2 sets of cables (one of which has a built in remote), multiple sized ear tips, and a carry case. The Xelento Remote looked so stunning, I couldn't wait to see if the look and build quality continued to the sound! Twenty One Pilots: Heathen, percussion was extremely crystal clear, crisp, and clean, with high dynamics. Vocals were smooth, refined, extremely natural with tons of resolution that revealed details not previously noticed. Piano was pleasantly natural with very nice harmonics. Bass was very deep, full, and played with lots of authority, and not only really clean but hit really hard! Kansas: Carry On Wayward Son, vocals were very natural with excellent texture and timbre with resolution to hear the breathing technique. I felt like I was right there in the recording studio with them. Kick drum had excellent depth and fullness with tight clean bass that played with tons of authority. Keyboard had excellent harmonics. Percussion was crisp and dynamic. I wasn't expecting this level of realism from a single dynamic driver. But since it's Beyerdynamic, I should have! Fresh Aire: Going To Another Place, strings were so crisp and clean, with excellent resolution, being able to hear the decay of the string. and was just a tad bright. Flute had excellent resolution, being able to make out the tonguing technique. Kick drum was very tight, and hit clean, yet was very full with great depth and resolution in the midbass, and played with lots of authority. Piano was very natural with great harmonics. Cymbals were crisp and very dynamic. I loved the Beyerdynamic Xelento Remote. This product is really exciting with it's sound. It's sound was actually fairly neutral and at times got a touch on the bright side. They take resolution in the mids and highs to an absolute crazy level for a dynamic driver. The sound is just nothing short of bananas. The level of realism is out of bounds! And the resolution was almost as good as the best balanced armatures available. Bass response was beyond stellar. If you are looking for some in ear monitors that both look good as well as sound good....look no further. Beyerdynamic hit this one out of the park! 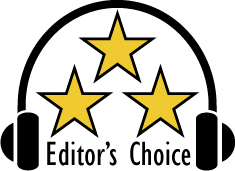 Based on their design, features, quality, and performance, the Beyerdynamic Xelento Remote has earned out Editor's Choice Award. For more info and complete specs, check out their website at www.beyerdynamic.com.